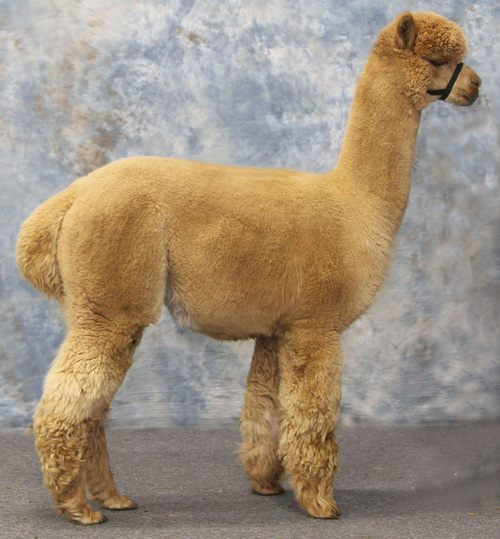 ASGARD ACRES ALPACA FARM, LLC is alpaca farm located in Renfrew, Pennsylvania owned by Carole & Joe Rost. We thank all of our holiday shoppers for their support. If you didn't make it or want to come back ... don't forget to get something for yourself OR that special Valentine! 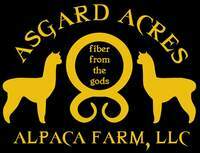 Named for the homeland of the Norse gods, ASGARD ACRES ALPACA FARM, LLC is located about 25 miles north of Pittsburgh PA. Asgard Acres is owned and operated by Carole and Joe Rost and lies on 30 gently rolling acres of fields and wooded land. 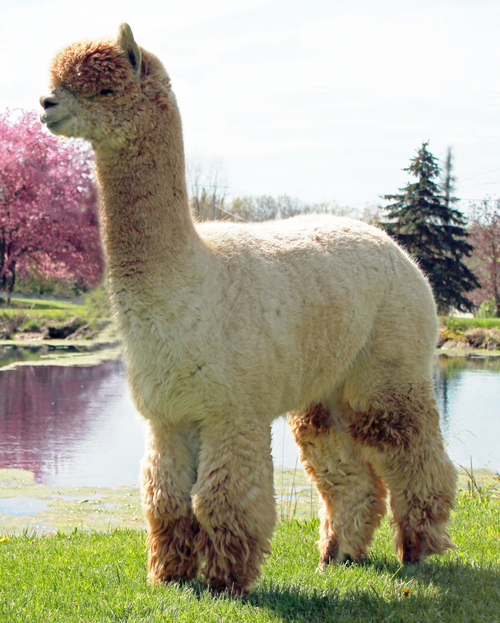 Established in 2006, Asgard Acres has grown from our original foundation of 3 exceptionally well bred females (one each from three of the top farms in the Mid-Atlantic US) to our herd of over 25 Huacaya alpacas - in part due to our 'beginners luck'. Of the first 14 cria born on the farm - 13 were female! This gave us a unique opportunity to develop a strong and diverse herd rather quickly by utilizing many great herdsires such as CPeruvian Winchester, Accoyo Principe Dorato, Snowmass White Gold, Lancaster's Highland Chieftain, ScF Mint D'Or, Evander, Casanova's Peruvian Crown Prince, and Snowmass XXXtreme. Of course our girls are no slouches either, with lines going back to the famed: Caligula, Hemingway, Felix, SA Silverado, Peruvian Black Ice, Victor's Vaccoyo, The Portland Kid, and naturally Peruvian Royal Fawn. To compliment our girls and to offer outside stud services, we are the proud co-owners of the Multi-Champion HEAVEN'S HILL MERCUCIO, and 23 X Champion RINGO CLOUD. We also have several home grown champions including Asgard Acres Captain Morgan And Asgard Acres Oden. We have recently added our newest boy - now breeding - 6X Champion & Judges'Choice winner - AMAF LUCY'S LITTLE RICKY !! We have the pleasure of being able to work full time at the farm. Carole, a retired teacher, loves to share her knowledge and has started a local 4H club. Joe draws on his Biology degree and past experience working on his father's Herford cattle farm. Together we share over 25 years of animal husbandry skills including having successfully raised, trained, dog-sled raced and showed Samoyed. 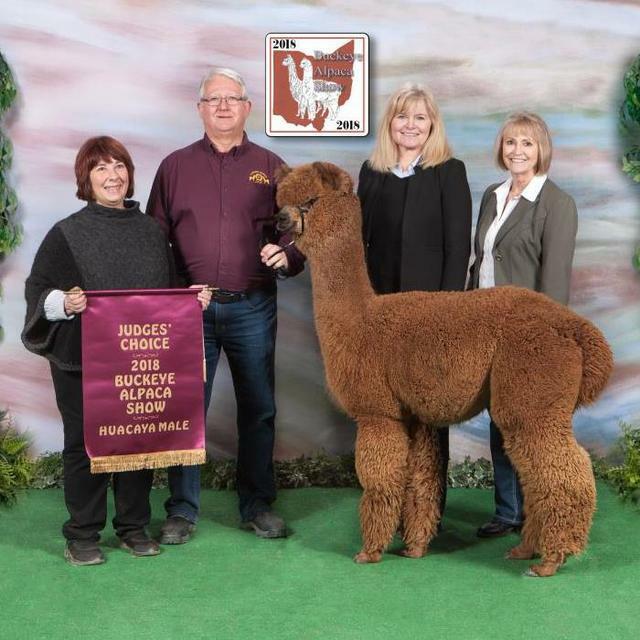 Aside from our goal of breeding top alpacas, we strive to maintain that 'small farm' connection with fellow alpaca enthusiasts. 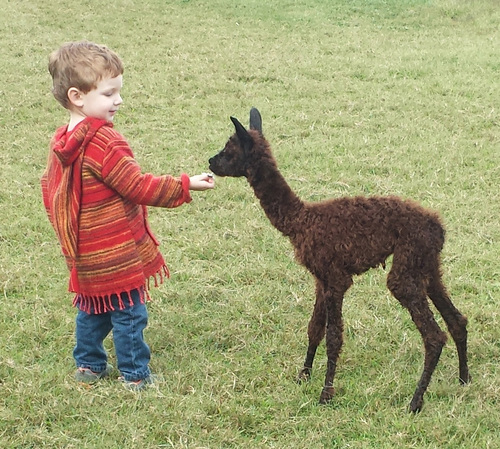 We believe that we have the quality and diversity to interest well established farms and the personal touch so important for the new alpaca owner. We offer sales, breeding, and boarding services , but most of all we offer the camaraderie and the much touted 'alpaca lifestyle' - so we welcome farm visitors to check out our herd, talk 'shop', or just to stop by to say hello.